Loving Sai Ram and greetings from Prashanti Nilayam. The question as well as the approach of exploration is nothing new. From very ancient times, people have repeatedly been asking: “Wherefrom did the Universe come, and was there a Supreme Creator who actually willed it and brought it into existence?” Given the intrinsic doubting nature of humans, we suppose this question would remain for ever, at least as long the human race exists. Now why did we bring all this up? For a good reason; we wish to discuss today the question: “How does one think of God, what does one believe about God and how exactly must one relate to God?” Actually, we have nothing original to say on the subject because all that needs to be said has already said by Sathya Sai Baba; what we intend to do is just to pull together the various pieces and offer them as one integrated piece. We would like to start by reminding ourselves that the human being is actually a composite of three entities: The gross body, the subtle Mind and the even subtler Heart. Of these, the Heart is the seat of feeling; the Mind is the vehicle for generating thoughts while the body is the engine of action. Generally speaking, action is preceded by thoughts, which are in turn triggered by feelings – in other words, the hierarchy is, Heart first, Mind next, the senses and the body last. Here is an example that illustrates the point. You are walking along the road and you see an old hungry lady begging for food. That sight fills your Heart with sadness and compassion. That feeling makes your Mind think: “I have with me here in a bag that I am carrying, some bread. Why not I give this lady a part of that loaf?” That is the thought that arises in your Mind. The thought then triggers action. You go near the old woman, stop, smile, take out some bread, give it to her and say, “Mother, please accept this food as a gift from God. Hope you would like it,” or something like that. You may say, “All this is fine but how does it relate to the title of this article?” Ah, that exactly is what we are coming to! Let us go back to the example just given and ask: “What if the Heart did not ooze with compassion, at the sight of the old and hungry lady?” You might have just walked away without paying any attention. If we analyse carefully we would find that most of the time when people switch off when assistance or help is desperately needed is because of the question: “What’s there in it for me?” Given human nature, this question is inevitable; it would always arise. If that be the case, does it mean that one would always come to the conclusion, “No, there is nothing in it for me,” and walk away as the priest and the Levite did? How then does one explain the behaviour of the Good Samaritan, whose example Jesus holds out for us? What was there in it for him? That really is the point of our discussion today. This then tells us, that two voices can and do speak from within, each with its own perspective. One voice is that of the “Head” and the other is from the “Heart”. The question now arises: “What is the difference, and how do we distinguish between the two?” The answer has been given by Bhagavan Sri Sathya Sai Baba. He says the voice of the Head is really the voice of the lower self or the ego. And the voice from the Heart? That is the Voice of the True Higher Self, the Indweller, the Voice of God. As for the difference, the Head will generally offer many options and argue: “Listen, this option means these advantages for you. That option means those advantages and disadvantages for you. Choose this one, because this means least trouble for you and indeed a lot of gain.” In other words, the language of the Head is the language of business, of profit and loss, of advantages and disadvantages, in short, the language of selfishness. As for the Heart, it never offers multiple choices. God the Resident of the Heart, is One. 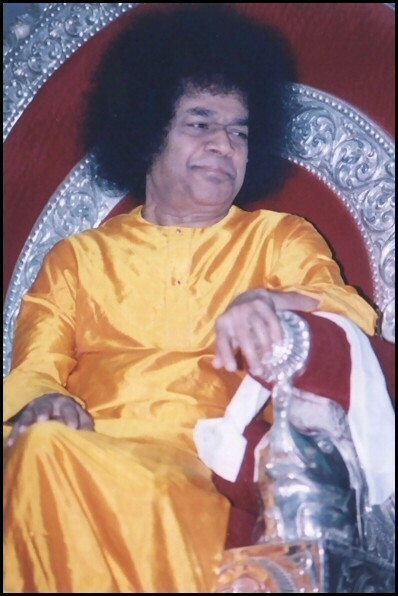 He is Truth, and Truth as Sathya Sai Baba often reminds us, is always one, not two. In practical terms, the Heart will always give only one option, that option being what God would like us to do. The Head is not everything. The Head always offers many options and argues which is most advantageous and so forth. The options of the Head are inevitably tinged with selfishness, sometimes in the extreme. The options of the Head might seem very rational from a worldly point of view but one must not be fooled. They all arise from the Ego, must be carefully avoided. As for the Heart, it never speaks with a “forked tongue”. It gives only one option, always, because Truth is one and not two. The course of action indicated by the Heart is always free from selfishness because its source is God. In fact, “the selfishness test” is the best way of checking out whether the voice we hear from within is from the Head or from the Heart. Getting back to the point we started with, we would at this point like to say that to us at least, it seems meaningless to discover God through the route of Science. Such explorations might be intellectually very challenging and even stimulating but at the end of the day, we wonder about their utility. What we mean is the following: OK, through Science we “prove” there is a God. What next? Do we raise yet another question, start yet another inquiry and write more books? In our view, all this is a complete waste of time. Gandhi told the western world way back in 1931, “He is no God who merely satisfies the intellect. God to be God must rule the Heart and transform the senses. He is LOVE.” That is what we find in the case of the Good Samaritan. God ruled his Heart and his actions bear testimony to that. This leads us to the important point that it does not make sense to “discover” the existence of God via Science. Such an exercise depends on the “Head” and, as Gandhi has pointed out, this is a futile way of trying to find out whether God exists or not. We must not try to “understand” God as some are trying to do but EXPERIENCE God. How does one do that? Sathya Sai Baba has given the answer. He says Bliss is Union with God. This implies that experiencing Bliss is the best way to experience God. The question now arises: “What is this Bliss? How is it different from pleasure, that one gets say from gambling?” The answer is simple and once again is available from Sathya Sai Baba. When we talk of joy, happiness etc., we invariably mean pleasure that we get out worldly experiences, experiences that gratify the senses in some manner or the other. These “joyful” experiences [like the “good feeling” one supposedly gets by drinking alcohol say] belong to the dual world and therefore have an opposite. As Satya Sai Baba reminds us so often, pleasure is an interval between two pains. Further, let us say a person enjoys a cone of ice-cream. One year later when he recalls that event, it remains a mere recollection. There is no particular joy in the recollection. On the other hand, let us consider an Interview that Swami has given us. During the Interview of course we are all in a state of Bliss; it cannot be any other way. Ten years later when we recall, we still feel a lot of exhilaration. That is an important quality of Bliss. Also, it has no opposite, since Bliss belongs to the non-dual realm of God. To wrap it all up, we submit that trying to reason out the existence of God may be intellectually stimulating and satisfying but at the end of the day, it merely amounts to what Swami refers to as Bookish Knowledge. 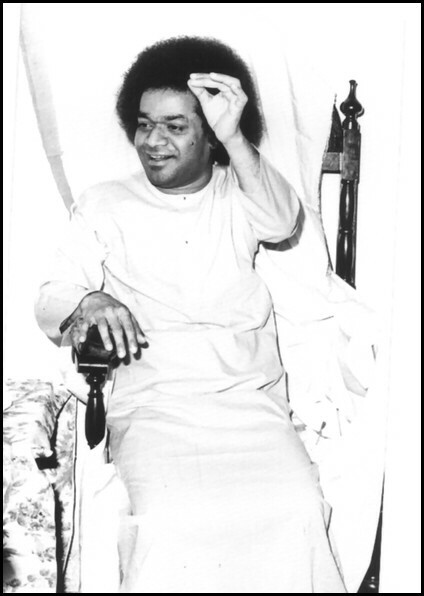 On the other hand, spontaneously responding to distress and reaching out to help results in Bliss, and constitutes, in Sathya Sai Baba’s language, Practical Knowledge. If we are interested in joy, pleasure or “kicks” to use a popular slang, the Head is the best agent. But if we want Bliss, then the Heart is the unfailing guide. In a sense thus, life is constantly offering us a choice between pleasure and Bliss. If we want pleasure, the Head would show the way, but if we prefer Bliss, then we must look beyond the Head, for that is where God is. Have you noticed that Spirituality is not something hairy-fairy but very practical? That is why Swami refers to Spirituality as Practical Knowledge. Swami does not want us to withdraw from or to run away from the world into seclusion. He wants us to be very much in it, but conduct our lives using the Heart as a compass rather than the Head. There is a lot that needs to be said on this subject but we shall deal with that later. For the moment, we take your leave. Till we get together again. At the top of this is a godman, who counts ex-Presidents and Prime Ministers among his disciples. The cabal running his trust boasts of top-level IAS officers (retired but active). It has former Directors-General of Police too. Rather ugly charges been brought in foreign courts against their leader. But media scrutiny of it all is weak. Actually, the writer starts off on a real nasty note but we have refrained from quoting that obnoxious sentence in order to spare anguish and pain to you, our dear Subscriber. The world, as we all know, is a mixture of good and bad; this is unavoidable since the world, as Swami often reminds us, is a mere reflection of our inside. If good and evil co-exist outside, it is because good and evil co-exist inside. Swami’s Spiritual Mission, which this writer contemptuously dismisses, as a unit of ‘massive spiritual industry’, is really an attempt to help man to sort out himself and to transform internally, so that Society as a whole changes for the better. Before we come to the philosophical aspects, we would like to raise a few practical points. The writer in question is critical of Sathya Sai Baba. There are of courses, Gurus and Gurus; some who are well meaning and do a lot of good to Society, each in their own way, and others who are charlatans and hoodwink Society in order to make a fast buck. Just because there are many quacks, can one damn the entire medical profession? Recently, it was discovered that a certain group of scientists had faked results and published a paper with supposedly epoch making results. Later the fraud was discovered, and the scientists concerned had to suffer public humiliation. Now just because there are the occasional frauds, is it fair to damn all scientists everywhere? Yet, our rationalist friends are quick to damn those they despise, without even bothering to look at the facts. Just consider the case of the writer whom we have quoted. He is unhappy because Indian Media generally glorify Gurus and do not critically examine and expose; and in this broad-brush attack, he includes Sathya Sai Baba also. This seems to indicate that the writer has already judged and sentenced; only, he wants the Media to proclaim to the world, his verdict. Is this being rational and objective? Has the writer in question made any effort to know anything at all about Swami’s Hospitals that we wrote about last week? Dr. Hegde, Senior Neuro-Surgeon in the Bangalore Super Speciality Hospital, came there after many years of experience elsewhere and an enviable professional reputation as well as a distinguished track record. With all his credentials, Dr. Hegde can command any salary he wants in any commercial hospital. Yet, he has chosen to willingly forgo all that and work in Sathya Sai Baba’s Hospital. Do you know why? Because here, he can serve the poorest of the poor, as he himself has openly declared. If this is a part of Sathya Sai Baba’s ‘industry’, pray what is wrong with it? Leave aside the Hospitals, wonders though they are. Let us turn to what Swami has done by way of providing safe drinking water to millions. Is this writer who is so quick to damn and quote so-called court cases abroad, aware that how much Swami has done to bring safe drinking water to thirsty people, especially in villages? Here are some statistics: Swami’s Trust spent $70 million for the Anantapur Water Project alone. About $180 million is the total amount of money spent by Baba’s Trusts in all Water Projects. Not only that; the entire water works was gifted away to the people of Andhra Pradesh. 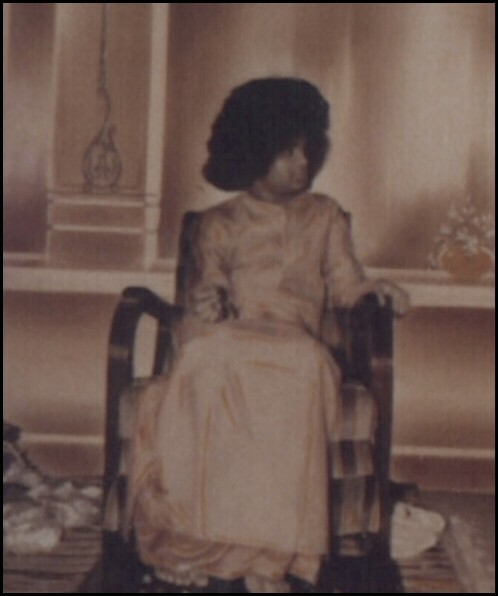 Sathya Sai Baba did not take one cent. Speaking on that occasion, Mr. Chandra Babu Naidu, then Chief Minister of Andhra Pradesh said that Swami, out of compassion for poor villagers, had done what the Central and the State Governments ought to have. 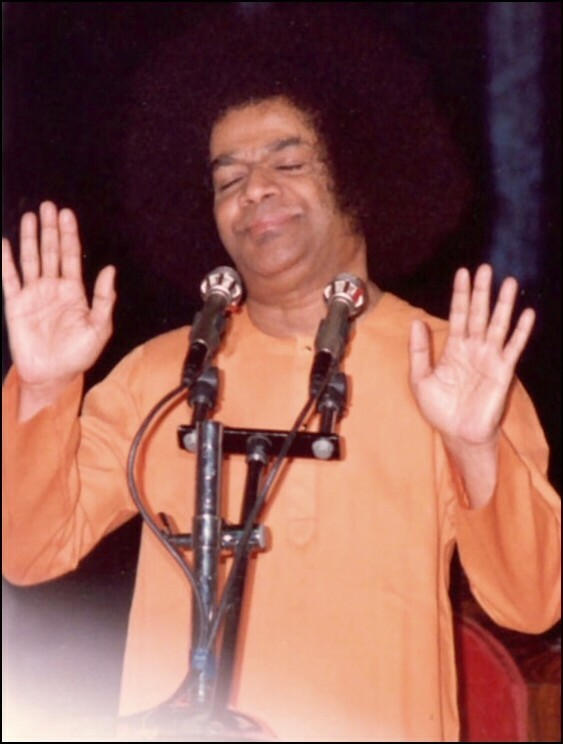 In about a decade, Sathya Sai Baba’s drinking water projects have enabled about ten million people in various places, including about 7.5 million in Madras/Chennai, to get safe drinking water. Sathya Sai Baba’s Trust has spent about $180 millions for all this, but the Trust has not collected one single cent in return. 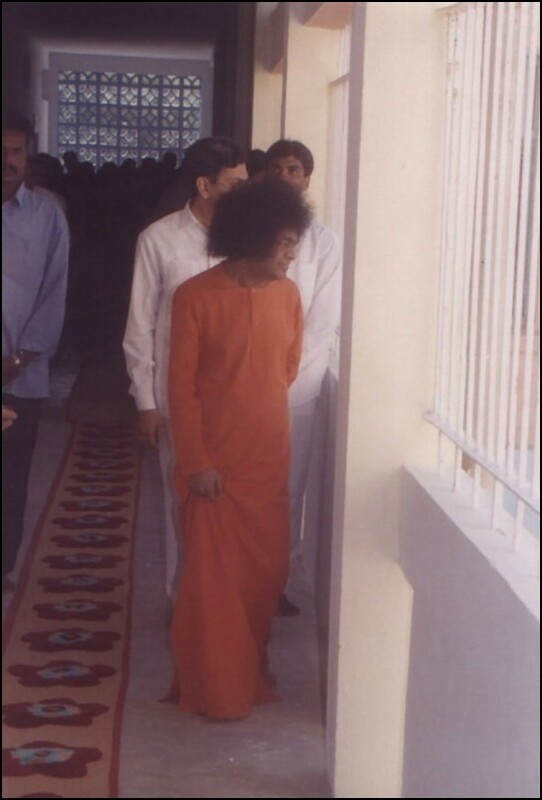 For Sathya Sai Baba, the fact that He made millions happy was enough. Take the dimension of Seva, which goes on non-stop from Fiji to Peru and everywhere in between. Few have any idea of how much Seva, devotees of Sathya Sai Baba quietly do all the time. The writer in question has made sarcastic comments about a certain godman who went to visit the tsunami relief sites but beat a hasty retreat along with his huge retinue of cars, when he heard a rumour that another tsunami was on the way. Does this writer know that when corpses in their hundreds lay scattered all across the beaches of South India and when the members of the Civil Administration and the Police refused to pick them up and remove them, it was Sathya Sai Baba’s Seva Dals who took tetanus shots and dared to remove them? In fact, Sathya Sai Baba’s devotees rushed to help not only in India but also in Indonesia, Thailand and Sri Lanka. All this is well documented in a special issue of Heart 2 Heart, in great detail we might add. Rationalists live trapped in the world of the ‘Head’ because for them anything beyond is irrational. Yet, in the State of West Bengal, ruled by ‘Left-led rationalist movement’ as our writer describes them, when there is dirty work to be done, who is it that is called? 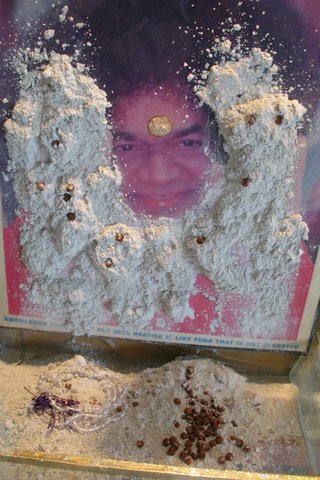 Sathya Sai Baba’s Seva Dals. Just to give an example, every year at the festival of Ganga Sagar, which occurs in mid-January, a million pilgrims come for a holy dip to the spot where Ganges merges with the sea. On that occasion, large stretches of the beach become toilets; and who cleans the beach? Sathya Sai Baba’s Seva Dals! The list goes on. Objectively speaking, God-denying rationalists are more to be pitied than censured. For instance, the writer whose remarks have triggered this ‘Sunday Special’ is personally a committed social activist helping with many humanitarian causes. That he feels for the suffering of the poor cannot be denied. The tragedy, however, is that ‘rationalists,’ do not readily accept that qualities like Love, compassion, forbearance etc., are Divine in origin and flow from the Heart. If we analyse carefully, most of the problems that humanity faces today are caused by the ‘Head’. And most of the time, experts try to produce solutions for these problems from that very same ‘Head’! That sort of approach can never work, when the problems are created by envy, jealousy, hatred etc. Problems produced by the evil tendencies lurking within humans can be solved only by the Heart. Rationalists, trapped as they are in world of the ‘Head’, and refusing as they do to look at the dimensions beyond, are like the people who believe in the Flat Earth hypothesis. We can certainly pretend the earth is flat on scales like a football field and may be on slightly larger scales too. But on the scale of the solar system, the earth is certainly not flat. God is for all, and everyone needs Spirituality, whether our writer accepts it or not. Thus, one must not complain if so-called VIPs come to Sathya Sai Baba; so do millions of others, all the way from a cook in Montana to a school-teacher from New Zealand. Somehow, the writer seems to focus only on the VIPs and imagine that to be a minus mark for Sathya Sai Baba! The reason why we raised this topic is because many devotees write to us expressing concern about the innumerable negative comments aired all the time by these so-called rationalists, most of who do not even follow the elementary rule of checking on facts before commenting adversely. They passionately believe in the truth of their assertions because their views are based on those of other ‘rationalists’. Is that being rational? We wonder! Thank you and Jai Sai Ram. One evening a party of us were sitting on the carpet in his suite; Ramanatha Reddy, the doctor, the young men, Iris (Mr. Murphet’s wife) and myself were there. Sathya Sai Baba asked me the year of my birth, and when I told him, He said that He would get for me from America a coin minted there in that same year. Then He closed His hand and held it before me, smiling as if enjoying my eager expectancy. When the coin dropped from His hand to mine, I noted first that it was heavy and golden. On closer examination I found, to my delight, that it was a genuine milled American ten-dollar coin, with the year of my birth stamped beneath a profile head of the Statue of Liberty. “Born the same year as you,” Swami smiled. What would the sceptics say about this, I wondered. Would they suggest that Baba carried around with him a stock of coins so that He would have one to match my year of birth. Such old American coins, now long out of circulation, would not be easy for Him to obtain in India through normal channels. I have no doubt whatever that this was one of Baba’s many genuine apports. While He circled his hand before us, some agency under his will had dematerialised this gold coin at some place somewhere, carried it at space-annihilating velocity, and re-materialised it in Sai Baba’s hand. From where did it come? Who knows? Sathya Sai Baba would never say; perhaps from some old hoard, hidden, lost, forgotten long ago, and now belonging to no one alive. Reference: “Sai Baba: Man of Miracles” by Mr. Howard Murphet. Page: 84 (Paperback Edition, 1972). Published by Macmillan India Ltd. It was one of the earliest visits of the young twenty-four-year-old Swami to Venkatagiri. A party of between twenty and thirty people left the palace in a fleet of cars for a drive in the country. Satya Sai Baba, who had never been in the area before, asked the Raja to stop by any patch of sand they might happen to see. A few miles further on, they came to a dry sandy river-bed. Here they stopped, and all sat on the sand around the young Swami. After talking for a while, He rolled His sleeve up to His elbow and thrust His arm deep into the sand before Him. Kailash, incidentally, is the abode of Shiva, the God associated with yoga, yogic powers and divine grace bestowed on mortals. Many Sai devotees believe that Baba is himself an incarnation of the Shiva-Shakti aspect of divinity. As Baba withdrew His arm from the sand there was a great flash of blue light that spread to a circle of some ten feet in radius. Then they all saw that Baba was holding in His hand something about eight inches in height and made of pure white sphatika (crystal). It proved to be a statue of Rama, one of the avatars, together with His consort, Sita. After everyone had seen this “gift from Kailash”, Baba handed it to the veiled Rani of Venkatagiri, telling her to wrap it in silk and leave it thus covered until the following day. When it was unwrapped the day after, the white stone had turned blue. The little statue now stands in the Raja’s shrine-room – still the colour, he says, of the blue light that flashed forth at the moment it was drawn from the sands. Reference: “Sai Baba: Man of Miracles” by Mr. Howard Murphet. Page: 156-158 (paperback edition, 1972). Published by Macmillan India Ltd.
Name the fruit – It’s there! The Raja’s second son was one of a party of men driving along with Baba by car from Madras to Puttaparti on one occasion. Not far from Chittoor in Andhra Pradesh they stopped to have a picnic by the roadside. After they had eaten the main course, Baba asked what fruit they would like for a dessert. They proved to be a very difficult party; one asked for a mango, another for an apple, a third for an orange, and the fourth for a juicy pear. “You’ll find them all on that tree over there,” Baba said, pointing to a wild tree growing nearby. They rushed to the tree full of excitement, for they had learned that anything was possible with Baba. Sure enough on one branch of that wild tree hung the fruits they had named – a mango, an apple, an orange and a pear. They plucked them and declared that the flavours were of rare excellence. In her home, Enchanted Acres, Wilma Bronkey has long been taking care of crippled, and disadvantaged people. The people range from geriatrics to children; in fact, through the many years she has been doing this welfare work, 280 foster children have shared her home. Then, the day came when Sai Baba sent an enchanted call to this woman of compassionate heart. The reason He sent it is known only to Himself. 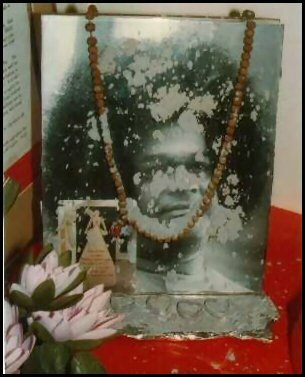 The manner in which He sent it to a humble home, 250 miles south of Portland, Oregon, U.S.A., would be totally unbelievable to anyone who did not know Sai Baba. The story came to me from different people – some who knew the lady, and some who had heard the account second-hand. I felt that it may have been highly embroidered in the telling. But when I finally was fortunate enough to meet Wilma Bronkey and hear the story from her own lips, I found that there had been very little embroidery, indeed. Some events are so strange, so bizarre in themselves that man’s imagination can add nothing to them. Here is the sequence of events as told to me by Wilma Bronkey at Prasanthi Nilayam – where extraordinary things are part of the daily norm. The line seemed to go dead. There was no further comment, so she hung up. What a strange call, she thought – and why had the voice called her ‘Dr Bronkey?’ She had no doctorate, but was known generally as the ‘Reverend Bronkey’. She had heard of Indra Devi, a well-known teacher of yoga, and now she felt a strong desire to find out something about Sai Baba. She made some enquiries, and soon the book “Sai Baba: Man of Miracles” came into her hands. As she read, she found herself wanting to go to India to see this “remarkable” man. But she pushed the desire aside. Such a journey was quite impossible for a number of reasons. Not long after the mysterious telephone call, while she was finding out all she could about Sai Baba, Wilma Bronkey received an honorary doctorate. So she thought, the voice on the telephone has proved oddly prophetic in one way; will it in another? Nothing seemed to be impossible to Sai Baba. But if He really wanted her to go, He would have to give her an unmistakable sign. Moreover, He would have to remove some difficult obstacles. Wilma had a great liking for rings and always wore several on her fingers. Among them was a cheap ring with a stone of navy blue, made of glass, and badly scratched with constant wear. But she valued this ring above all the others because it had been a Christmas present from some of her foster children. She had formed the habit of taking off all her rings while doing domestic chores, and putting them in a side pocket of her handbag. The reason for this was that if she went out in a hurry, she could put the rings on at some convenient moment later. One afternoon, Wilma went with a friend to see a film on the care of handicapped people. When it started, she realised that she had seen the same film before, and her interest waned. It was at that time that she noticed she had not put her rings on. She felt in the side pocket of her handbag, resting on the unoccupied seat to her right and began to slip the rings on her fingers. Then she realised that the one with the dark-blue, badly scratched stone was missing. Had she put it somewhere else, or had it fallen out of the handbag? Excited by the change in the ring’s appearance, Wilma hastened out into the foyer to look at it in a brighter light. Her friend came, too. It was the same ring, with the same familiar gold band, but the stone was now a sparkling light blue in colour! They did so. As she handed the ring to him Wilma thought that the shade of blue had changed again ‘What is this stone?’ she asked. After putting it through some tests, the jeweler told her that it was a sapphire, worth between $1,000 and $1,500. Wilma thanked him and the ladies returned to their car. ‘And what is the stone?’ asked Wilma’s friend. ‘Oh, a diamond – a nicely cut one’, he replied without hesitation. By the time they reached Enchanted Acres the stone had returned to the light blue colour it had acquired in the theatre. And that’s the colour, it was when I saw it on Dr Bronkey’s finger later at Prasanthi Nilayam. The leela of the enchanted ring had left Wilma in no doubt that Sai Baba was giving her a sign, and she felt sure that, if he wanted her to go to India, he would remove the obstacles in her way. The two main problems were: who would look after her patients, and how would she get the money for her fare? That was just the amount she needed, so again the voice on the telephone had proved prophetic. Dr Bronkey found herself in Indra Devi’s party, bound for India and the ‘Abode of Supreme Peace’. The day came – the wonderful day – when Wilma Bronkey sat on the sand with the crowd at Prasanthi Nilayam, waiting for Swami to appear. He came, floating, it seemed to her, on air. Smoothly He moved around the circle, and eventually stood in front of her. Wilma Bronkey had managed to make several more visits to Swami before the time I met her there at Christmas in 1978. She brings parties of sick people for the blessings of the Great Healer. During the 1978 visit, Swami told her to expand her humanitarian work, and to establish a convalescent home for patients who had been cured of cancer. Dr Bronkey had been carrying on her commendable welfare work for years before the Lord called her in His own amazing way. That call was the milestone of her life. Now behind her service to mankind, blessing it and expanding it, is the love and inspiration of Sai Baba. Reference: “Sai Baba: Invitation to Glory” by Mr. Howard Murphet. Page: 44-49. Published by Macmillan India Ltd, 1982. Do you believe in miracles? A simple question. But, for the vast majority of humanity who fall somewhere in between staunch believer and die-hard sceptics, the answer isnt. Veena Pradeep & Chethana Dinesh attempt the answers nonetheless. Statues shed tears of blood, drink milk and open their eyes in benign blessing. Crosses of light inexplicably appear around many parts of the world. Sea water in a muddy creek turns sweet. The faithful flock in piety and amazement while sceptics pull out their hair in desperation, crying foul. Do you believe in miracles? The question is as simple as that. But, for the vast majority of humanity who fall somewhere in between staunch believer and die-hard sceptics, the answer isn’t. From time immemorial, there’s been a miracle for every season and every reason. If only our senses were open to perceive it! On a hot summer afternoon, sitting in a garden, under the cool shade of a peepal tree, soaking in the beautiful sight of colourful flowers, you close your eyes and take a deep breath, saying a silent prayer to the Almighty for a spell of rain. Voila! It actually starts raining. If this isn’t a miracle, what is? For Tarun Cherian, a well-known spiritual healer, based in Bangalore, everything is a miracle. The blink of an eye, the blooming of a flower, the flight of a butterfly, the existence of the universe itself is no less miraculous than statues of gods and goddesses drinking milk or opening an eye. “For example, auras around humans have been photographed, so nobody can deny their existence. On the other hand, for miracle buster Sanal Edamarakku, president of the Indian Rationalist’s Association based in Delhi which has been fighting for inculcating scientific temper among people and exposing superstition, blind belief, obscurantism and paranormal claims among other things, all miraculous events can be explained. “There are three kinds of miracles,” he says. One is purely the outcome of people’s ignorance. Sanal quotes the example of a Sai Baba ke roti miracle doing the rounds in some parts of the country where you place a piece of roti in a container, add tea leaves, a little sugar and water and leave it covered for seven days in front of a Sai Baba idol. On the seventh day, a whole roti forms. Sanal says this is because of the formation of something called the Manchurian algae. “Even if you were to place the same ingredients in front of your own photograph, the roti would form,” he says. At the height of the Ganesha milk-drinking episode, he had demonstrated how it happened, feeding a little coffee to a statue of Jawaharlal Nehru, and “this may sound blasphemous, but also a little beer to a statue of Gandhi,” he laughs. According to him, every instance of a miracle can be explained in scientific terms. The second kind of miracles are special phenomena such as people suddenly speaking in the voice of a dead person. These are mental illnesses which any psychiatrist can explain, he says. The third kind are pure deceit where charlatans use sleight of hand to take advantage of people’s gullibility, like conjuring vibhuti out of the air, making things disappear or appear, etc. “Whenever a miracle takes place, there is an economic or social beneficiary,” says Sanal. “All of us love miracles, irrespective of our community and religion. In fact, we long for them. Being born and brought up to believe that miracles do happen, we accept anything that’s even mildly suggestive of a miracle. Our lives revolve around expectations that miracles can happen. It’s true. Caught in the rigours of this world, all of us yearn for miracles in some form or the other. And again, who can doubt this longing for miracles when it’s being felt in various pockets all over the world? There have been instances of miracles quoted in every religious text and in the history books of every civilization. Circles of Light, Crosses of Light, Healing Waters, Signs of Allah, The Holy Mother, Buddhist Miracles, Christ Encounters… the list can be endless. An oft-quoted instance is that of the sighting of angelic warriors by Israeli soldiers in all of Israel’s wars. And in every war, there were reports from both sides of angelic intervention on Israel’s behalf. Though some rationalists attempted to term it as battle fatigue, believers didn’t buy the argument, considering that the angels were seen by both sides in the war. Surprisingly, while many today believe in miracles, no modern historian fills his or her books with accounts of miraculous events. For, they are considered incredulous and nothing more than a case of collective hallucination. Experts in human psychology think otherwise. “It is basic human tendency to desire the marvellous and the wondrous, to be deluded about them, to fabricate them, embellish them and to exaggerate them. It is a manifestation of our dislike for the mundane and the ordinary. Hence we lap up anything that is different from the ordinary,” explains Prof Chandrashekar. However, there are many philosophers and anti-supernatural thinkers like David Hume (1711-1776) and Benedict Spinoza (1632-1677) who argue against this belief in miracles. While Hume terms it an act of faith and not of reason, Spinoza says that the belief in miracles and a commitment to modern scientific methodology are incompatible. Another much widely neglected argument against miracles is put forth by Immanuel Kant (1724-1804) in his book Religion Within the Limits of Reason Alone. According to Kant, miracles never occur! In other words, miracles are theoretically possible but practically impossible. Miracles are ruled out on scientific grounds too. According to the scientific understanding of the universe, no event can be termed rational unless its occurrence is regular and repeatable. Miracles are by nature not regular and repeatable and hence there is no scientific basis for the belief in miracles. “Anything we do with intensity can create miracles. When we understand it, it forms the basis of life, when it surprises us, we call it a miracle,” says Tarun. Miracles are anything that’s beyond our realm of understanding. Nevertheless, they help us get on with our lives with hope. “They are all around us. We just have to ask the universe for it. I have prayed for miracles and they have happened. The universe is very kind. It just gives all that you ask for. You may be gripped by a serious problem and not know how to get out of it. You hope against hope for it to be resolved by itself and it does! That’s a miracle,” says renowned tarot card reader Krishna Nath Malhotra. A miracle definitely helps ordinary mortals like us to live on, with the fond hope that a miracle will very soon put an end to the suffering in the world. 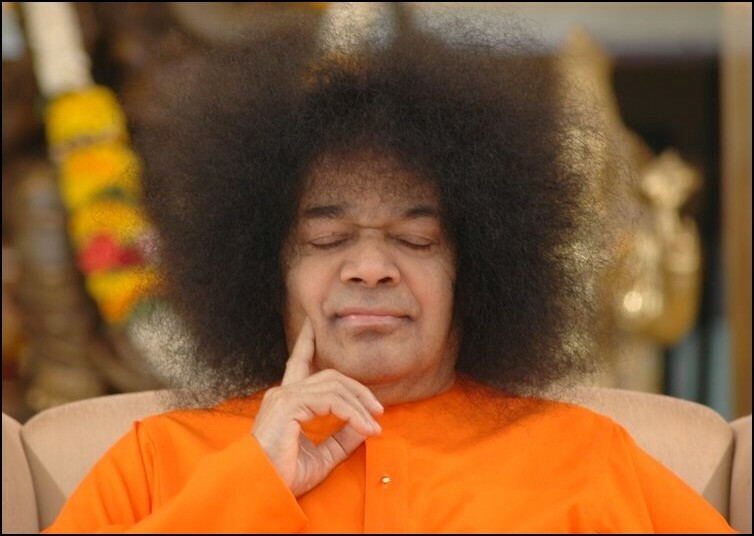 “About three decades ago, I went with some friends to Satya Sai Baba, hoping to be able to rid myself off a consistently present nervous strain, and fear of living in this world. I was not disappointed, as he did rid me of that, plus a few other disturbing samskaras lurking within my being which I wasn’t even aware of. That was a true miracle for me! I mean, to be able to prevail upon the mind and transform it so completely without appearing to be doing so is a feat worthy of resting foremost in the annals of miracle workings. Despite many miracles being explained away by rationalists and scientists, the media continues to report on strange events and happenings around the world and otherwise rational human beings continue to believe in them. “Now miracles happen most when we are desperate or troubled. And indeed we are in trouble today with an imminent collapse of the environment, and a global economy powered by skinny energy resources. Since man’s very survival is threatened, the stakes are raised. Our desperation unleashes immense psychic force, and so miracles and psychic gifts are far easier to receive today than in any point in our history,” says Tarun. Both miracle-seekers and miracle busters will agree on one thing, however. Miracles are but extensions of one’s belief. You believe and you will be blessed by an experience. You don’t believe and you can explain the experience away. Every now and then, you read newspaper reports of potatoes or eggplants sporting the image of gods. Now, if you’re religious and a believer in miracles you’ll see in these divine vegetables a sign and probably worship them, but if you are a rationalist you’ll just chop that freak vegetable into your curry! Filed under: Faith, God, Miracle Pictures, miracles, Modern Miracles, Religion, Sai Baba Miracle Pictures, Sai Baba Movies, Sai Baba Statue Opens Eye, Sai Miracles, Spirituality | Tagged: Believer, hallucinations, Hysteria, Manifestations, Milk Miracle, Miracles In The Bible, Miracles Of God, Miracles Of Jesus, Psychiatry, Sanal Edamarakku, Sceptic, Stigmata, Tarun Cherian, Vibuthi |	Comments Off on It’s A Miracle!